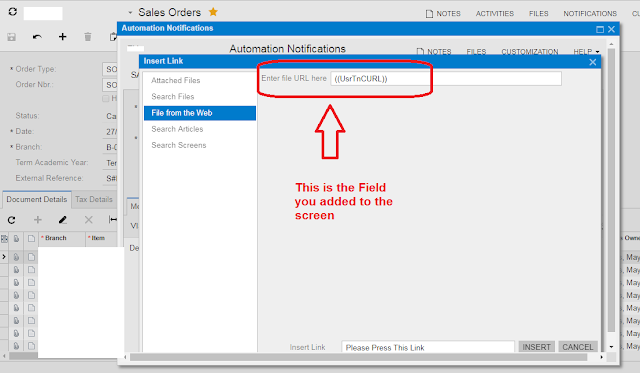 There is sometimes a task to add dynamic or static links to system generated Notifications. 1. 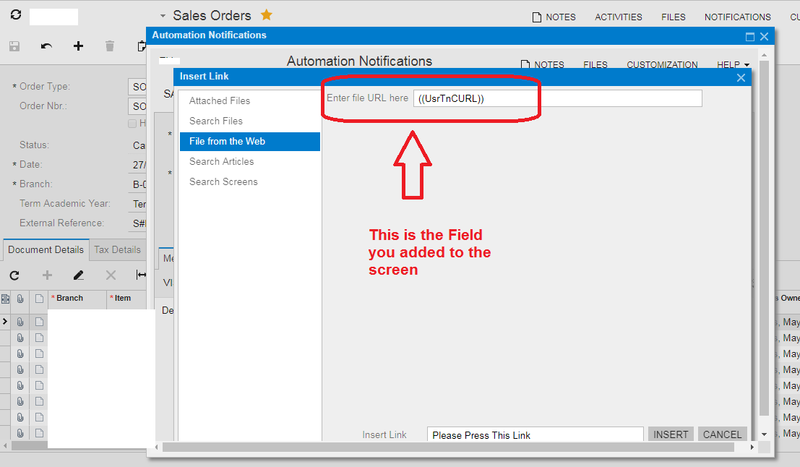 Add a field to a screen, where your dynamic link will be generated and stored. As a result your notification will get the Link from the field.